The hotel is located in the south of Patong Beach and is nestled in one of the foothills surrounding Patong, about 1.3 kilometers away from the beach and Patongs nightlife area, a 2 minutes drive with a motorbike or Patongs famous Tuk Tuks. 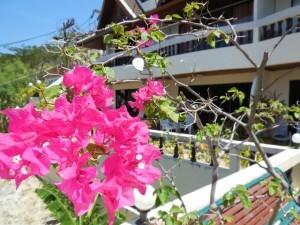 The Blue Sky Residence offers great value for money, and provides you all aneminities for an unforgettable holiday. Patong beach is located in the south of Thailand, on Phukets west coast, about 40 minutes away from Phuket international airport. Patong Beach is one of Phukets most popular beaches and offers you white and sandy beaches and a cosmopolitan city nightlife.